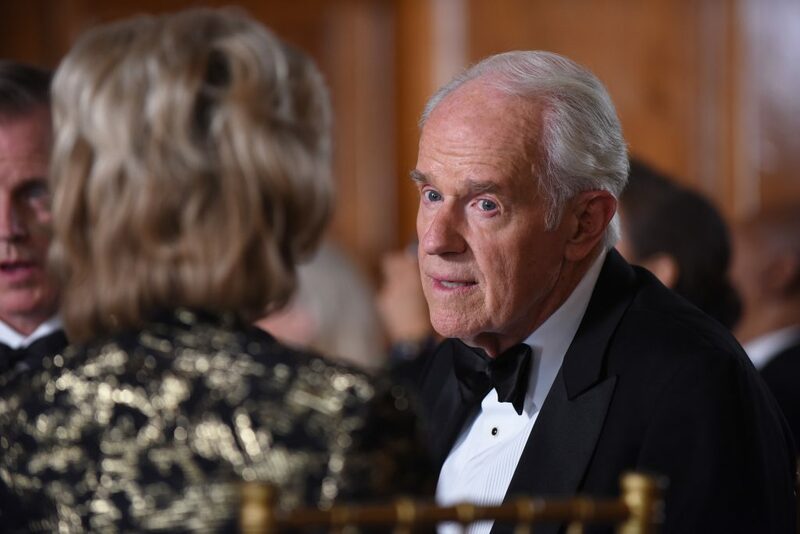 Mike Farrell as Lee Miglin in “American Crime Story: The Assassination of Gianni Versace.” Photo by Ray Mickshaw/FX. Nearly eight years ago, I interviewed a legendary Hollywood actor. Due to technical difficulties, that interview would remain lost and unpublished… until now. I was in the front seat of the car, sitting in a parking lot with a Samsung flip phone in one hand and an RCA digital recorder in the other. On the pages of a small company notepad were a handwritten list of questions for what would become one of the most meaningful celebrity interviews of my career. Photo Courtesy of Akashic Books. 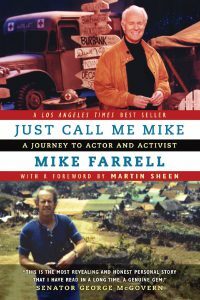 After reading the Los Angeles Times Best-Selling book entitled, Just Call Me Mike: A Journey to Actor and Activist, I reached out to Mike Farrell to ask him if he would be willing to talk to me about his work. During our conversation, Mike shared his views on everything from fame in Hollywood to his advice for young people. Our telephone conversation was unfortunately cut short because of a mechanical issue, and he answered my remaining questions over email at a later time. When the interview was done, I spent weeks agonizing over how to get the story just right. The more I tried to find a balance between his work as an actor and an activist, the more I realized how monumentally different those two worlds could be. How could I write about fame and make-believe in Hollywood in the same article that I discussed the harsh realities of a world with poverty, starvation and injustice? I would eventually leave my job as an assistant editor and move on to a new career and into a new apartment. Somewhere along the way, the notes, emails and interview recording were lost and the story went untold. But the unpublished interview with Mike Farrell was still out there, waiting to be found. I opened an untitled audio file from one of my digital recorders, which had been tucked away in storage. For the first time in more than seven years, I listened to the conversation with Mike Farrell and slowly began putting the pieces back together. I went over to my bookshelf and took down his book, discovering pages of notes that were still inside. I re-read the old messages I had saved in a folder of celebrity emails. And I re-read his book. I realized how remarkable it was that nearly a decade after it took place, our interview was just as relevant now as it was back then. At the time I began the article, I was so afraid to get the story right that I didn’t tell it at all. Perfect or not, it was a story that mattered, and it deserved to be written. Actor and activist Mike Farrell. Photo by Patricia Williams/Human Rights Watch. Born in St. Paul, Minnesota on February 6, 1939, Mike Farrell moved with his family to southern California, where his father worked as a movie studio carpenter. While growing up in West Hollywood, he attended grammar school with actress Natalie Wood, who he talks about having a crush on in his book. His own career in the entertainment business began with guest-starring roles in classic television shows like Lassie, Bonanza, I Dream of Jeanie, The Monkees, and a longer run on the daytime soap opera Days of Our Lives. But it was his iconic role as Captain B.J. Hunnicutt on the beloved classic television series M*A*S*H that would make him a household name. His appearance in 179 episodes of the series would not only open doors for him to appear on the cover of TV Guide and The Tonight Show Starring Johnny Carson, but more importantly it would provide him with a global platform to speak out on social issues affecting people around the world. When M*A*S*H ended in 1983, Mike’s journey as an actor was still far from over. Following the success of the iconic series, he would limit his television roles, later guest starring on Desperate Housewives (2007-2008), Without a Trace, Law & Order: Special Victims Unit, and Supernatural. Of all his television appearances though, I knew him best for his starring role as veterinarian James Hansen, father of Dr. Sydney Hansen (who was played by actress Melina Kanakaredes) on the NBC drama Providence (1999-2002). 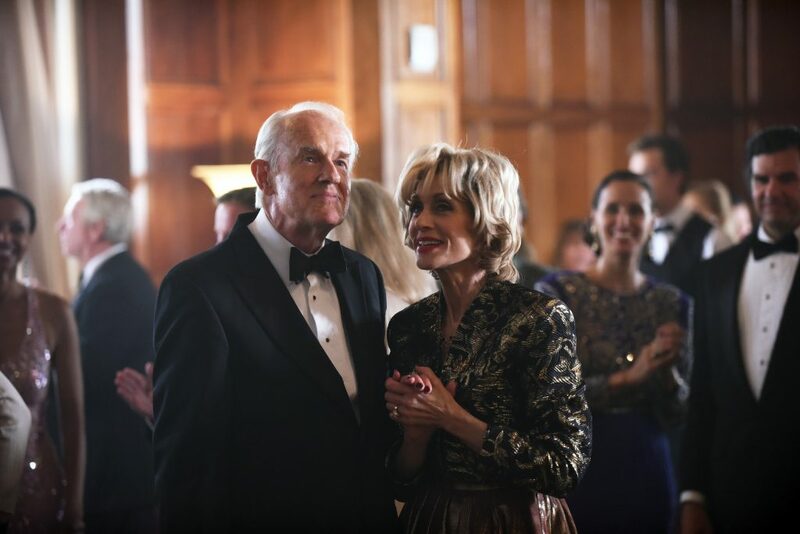 In 2018, he returned to the small screen once again, playing American business tycoon Lee Miglin in the second installment of the anthology series American Crime Story: The Assassination of Gianni Versace on the FX Network. His gripping performance as Miglin and dramatic on-screen murder at the hands of spree killer Andrew Cunanan (played by Darren Criss), showed that true talent is timeless. Farrell’s impressive longevity in Hollywood has stemmed, in part, from his ability to continually reinvent himself on screen, as he embodied a variety of characters in both comedic and dramatic roles. Darren Criss as Andrew Cunanan and Mike Farrell as Lee Miglin in “American Crime Story: The Assassination of Gianni Versace.” Photo by Ray Mickshaw/FX. Behind the scenes in Hollywood, Farrell was also an influential producer. In the late 1980s, he co-founded Farrell/Minoff Productions along with Marvin Minoff, which produced numerous television projects, as well as the feature films Dominick and Eugene (1988), starring Ray Liotta and Patch Adams (1998), starring Robin Williams. 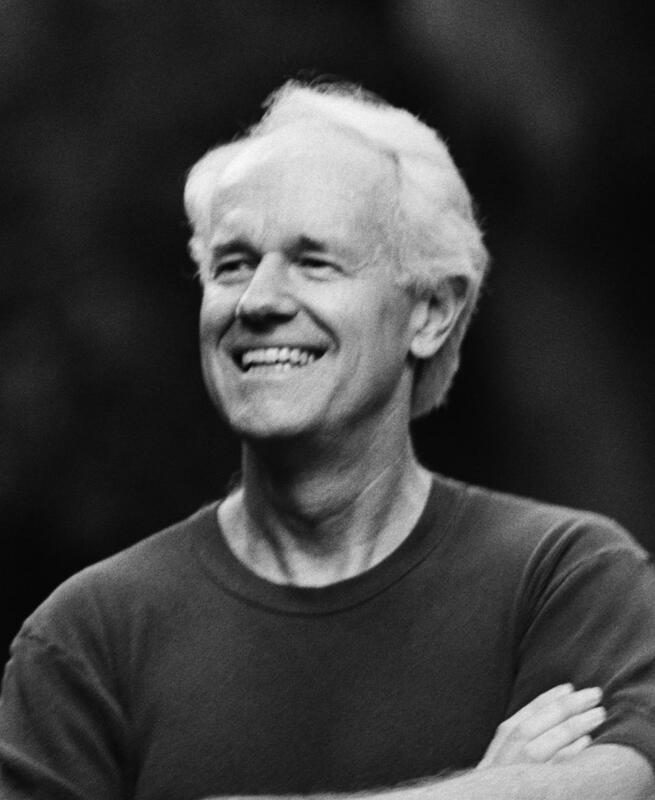 Although he has had a powerful influence as an actor and producer, Mike Farrell has had a far more profound impact in his work off screen. As an outspoken political and social activist he has championed many causes, raising awareness for human rights issues, animal rights, environmental issues and working with organizations like Human Rights Watch, Death Penalty Focus, PETA and many others, throughout his career. In the land of showbusiness, it is often hard to determine what is real from what is not. But for some stars, there is more to Hollywood than simply entertainment. Of all the celebrities I have interviewed in my career, none have made activism and charity work a greater part of their life and legacy than Mike Farrell, who will turn 80 years old this February. Nearly eight years ago, I began writing a story about a man who was fighting to change the world and make it a better place. Instead of trying to tell the story, this time I will let the rest of the story tell itself. 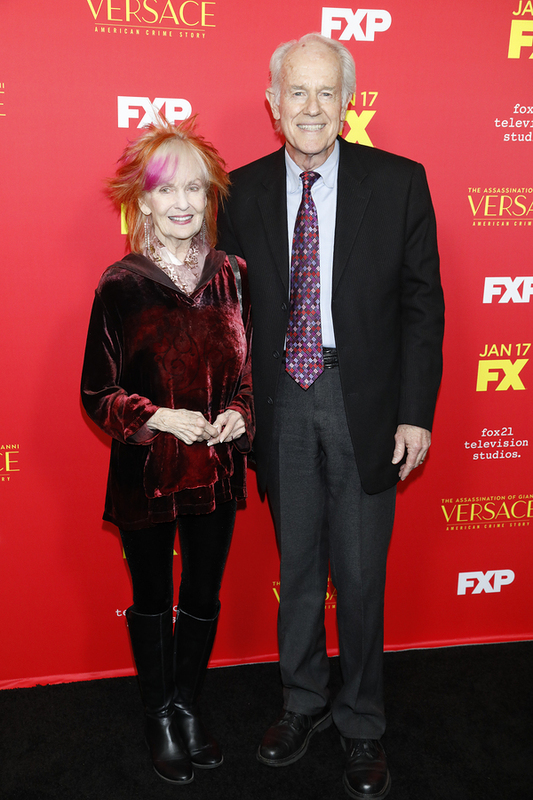 Shelley Fabares and Mike Farrell at the “The Assassination of Gianni Versace: American Crime Story” Premiere Screening at the ArcLight Theater on January 8, 2018 in Los Angeles, CA. Mike Farrell as Lee Miglin and Judith Light as Marilyn Miglin in “American Crime Story: The Assassination of Gianni Versace.” Photo by Matt Dinerstein/FX. 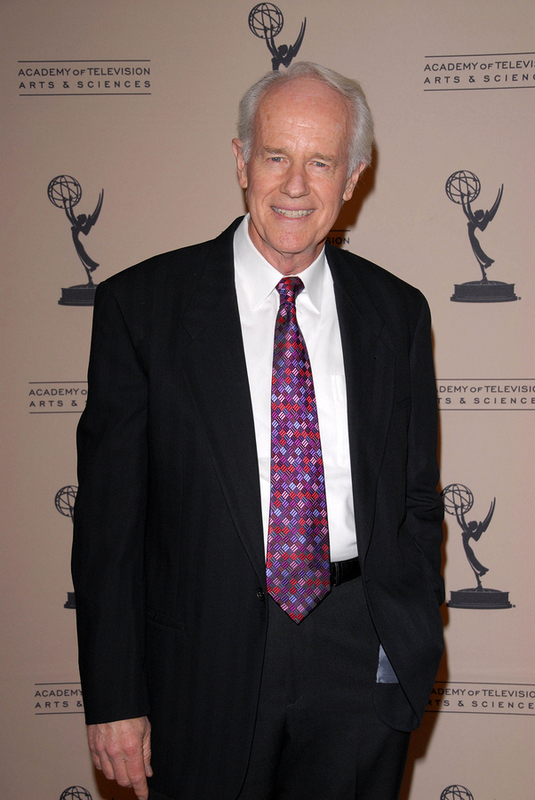 Mike Farrell at the Academy of Television Arts and Sciences Third Annual Television Academy Honors, Beverly Hills Hotel, Beverly Hills, CA. I haven’t spoken to Mike Farrell since the day of our interview, but I will always be grateful for the time he spent teaching me that entertainment journalism could be about so much more than just entertainment. I like to think that somewhere out there he’s doing well and he’s OK with how the story turned out. Then again, this story doesn’t really have an ending. There’s still a lot of work left to be done to make the world a better place. My hope is that his words will reverberate for years to come and will give other people the courage to fight for the things that matter and make a difference wherever and whenever they can. Be sure to like StayFamous.Net on Facebook and follow @StayFamous on Twitter and Instagram (@StayFamousOfficial) for the latest entertainment news, celebrity interviews and much more!